If you’re moving to or within the Midwest this fall, you couldn’t have picked a better time. With trees flourishing with beautiful and colorful leaves, there isn’t a more picturesque season in this area. Additionally, the weather generally remains in the 50s and 60s, so you won’t have to worry about freezing your toes off or dying of heat exhaustion during the process. However, despite all of the benefits, there are still challenges to moving in Kansas during fall. 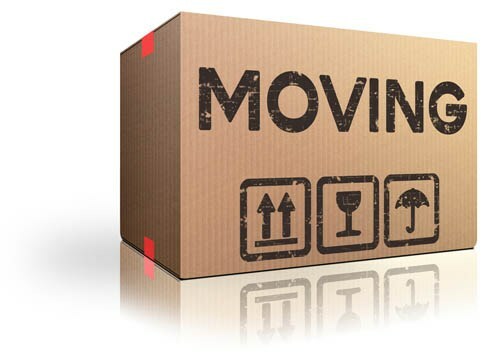 By following the tips from our Kansas City moving company staff, you’ll ensure your relocation is as smooth as butter. In addition to ensuring everything is packed neatly and securely, you’ll want to keep some essential items with you in the car. The fall nights in the Midwest can get a bit chilly, so make sure you have a sweater with you in case the temperature drops. The last thing you’ll want is to spend your first night in a candle-lit house with no heat. Make sure you can comfortably situate yourself the moment you walk into the door by setting up your utilities. If you forget to do this, keep a sweatshirt and a pair of sweatpants handy to sleep in that night because it’s going to get cold. Now that summer is over, you can find great deals on moving services for the fall. With less people relocating during this time of year, you’re bound to find bargains offered by professional movers. This will save you loads of stress and energy and ensure you’re move is executed quicker. Trudging through piles of leaves will make your relocation harder than it needs to be. By simply taking a rake or broom and clearing a path from the truck to the front door, you’ll save loads of time and energy. Whether you’re moving from, to or within the Kansas City area this fall, trust the interstate and intrastate movers at Kings Moving to execute a safe and efficient relocation. Give us a call or fill out our online form to learn more and receive your free quote today!